Drawing upon over 25 years of leadership experience within non-profits and communities of faith, Patrice Nelson specializes in leading organizations through periods of transformation to arrive at new heights in excellence and positive community impact. While listening, challenging, encouraging and guiding clients facing change, she facilitates the clarification of their hopes and dreams and the creation of specific plans for action, drawing upon innovation, collaboration, accountability and resource development for successful implementation. She brings a wealth of knowledge and experience in organizational assessment, board and management team leadership development, conflict resolution, fundraising, human resources, program development, performance measurement and fiscal management. Having worked with a broad spectrum of leaders, service providers, consumers and supporters, Patrice is a bridge builder and has a reputation for using her gifts to help all parties find common ground to achieve common goals. 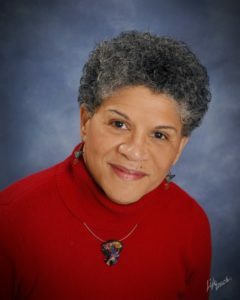 From 2009-2016, Patrice served as executive director of Urban Ministries of Durham, where she received community-wide acclaim for significantly strengthening overall organizational capacity and increasing the agency’s ability to provide long-term solutions to help individuals move from homelessness to permanent housing rather than repeated short-term responses to human needs. Through the process, she led her team to assess performance, envision the agency’s future, develop a strategic plan and then to communicate and work through the plan over a period of several years. She managed staff development issues and realignments, established new collaborative relationships with partner agencies, significantly increased operating revenues and financial reserves, secured several new public and private grants, completed a capital campaign and construction project, established new procedures, incorporated data-driven measures of success and enhanced board relations. Patrice was honored in 2012 by being named one of the Triangle’s top women business leaders of the year. In addition, under her leadership, UMD received the 2013 Keeper of the Dream Award from the Durham Community Martin Luther King Jr. Steering Committee Inc. and the 2011 Non-Profit of the Year Award of the Durham Chamber of Commerce. Prior to joining UMD, Patrice served as the deputy director of Laurel House, a Philadelphia area domestic violence shelter, education and counseling center. She was ordained to ministry in the Presbyterian Church USA in 1996 and served in various pastoral roles in Philadelphia, while also creating and managing mission and outreach programs. Several of her mission efforts were collaborative, crossing socio and economic boundaries, and have stood the test of time. Prior to seminary, Patrice served as executive director of the Greater Philadelphia Economic Development Coalition. She holds bachelor’s and master’s degrees in urban planning from the Massachusetts Institute of Technology, a master’s degree in divinity with a focus on urban ministry from Lutheran Theological Seminary in Philadelphia, a certificate in non-profit management from Duke University and a certification in Interim Leadership from the Presbyterian Church USA. Patrice enjoys living in Durham where she is active in the Presbyterian church, a member of the Durham Rotary and the Durham graduate chapter of Alpha Kappa Alpha Sorority.